A kayak having a hull shape in which the wetted area is situated over the forward two-thirds section of the hull with the rear hull section having minimal wetted area to provide a kayak of increased steering leverage, and of exceptional maneuverability and speed. The hull is asymmetry that is defined by length-to-girth ratio. 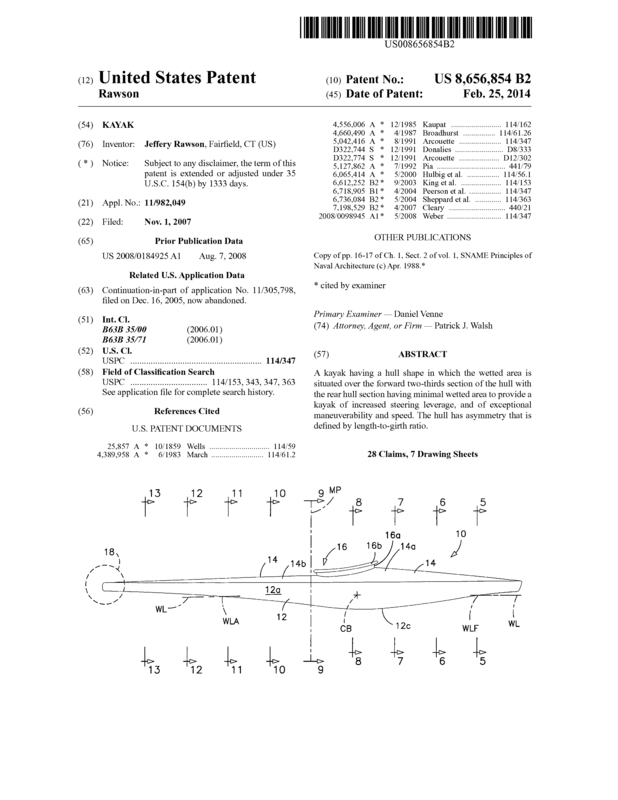 Page created at 2019-04-25 18:34:23, Patent Auction Time.